A painting of Mahavira in a Jain temple. In this video, you will watch an interview by a new Muslim brother. The interview begins with: ‎”Bismillah ir-Rahman ir-Rahim” (In the Name of Allah, the Most Gracious, the Most Merciful.) and with the greeting of Islam Assalamu’alaikum warahmatullahi wabarakatuh (May the peace, mercy, and blessings of Allah be with you). The interview was conducted in the Holy City of Makkah Al-Mukarramah. 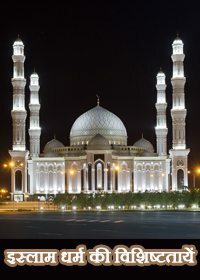 The interviewer traveled about seventy or eighty kilometers away from Jeddah to conduct this unique and interesting interview. The new brother converted to Islam three decades ago and left behind a religion whose religious leaders and mentors walk totally naked on the public roads and streets in India. When the interviewer knew that one of the followers of Jain Dharm has left that religion and accepted Islam, he became excited to meet with him and ask about his religious and spiritual journey. The place of interview is the area of Al-Haram Al-Makki (The Makkan Sanctuary) and the interviewed is the one who converted to Islam from Jainism. Who are Svetambar and Digambara? 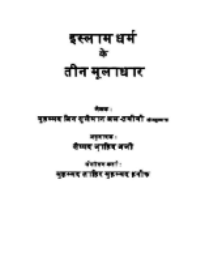 His previous name was Vijay Kumar Jain but after conversion he became `Abdul-Wahid. He mentions in his interview the two famous Jain sects: Digambara and Svetambar. In this regard, he explains that the Monks of Digambara (or sky-clad) do not wear any cloth while the female priests of the Digambara sect wear unstitched plain white dress. On the other hand, the followers of Svetambar (or white-clad) sect wear white seamless clothes. Both sects refer to the state of Mahavira when he left his house in search of divine knowledge and wore two pieces of cloths covering the upper and down parts of his body, therefore, the Svetambar sect prefers to wear a dress while the Digambara sect argues that Mahavira’s clothes were taken away from him afterwards, therefore, their males prefer to remain totally naked. It is worth mentioning that our brother Vijay Kumar Jain (`Abdul-Wahid) belonged to the Svetambar sect. Is Jainism Monotheistic or Polytheistic? It is noteworthy that both Jain sects worship Mahavira, thus, they are polytheist and not monotheist. Their temples are like the temples of Hindus that have naked idols of Mahavira in both cases whether the temple belonged to Svetambar and Digambara. Jain Dharma has 24 Tirthankara or the reformers. 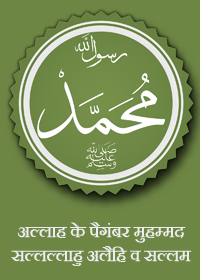 However, the last of them is Mahavira, like; the Muslims believe that there are 124000 Messengers and Prophets but the last and final of them is the Prophet Muhammad (peace be upon him). But the followers of Jainism worship Mahavira whilst Muslims never worship any person except Allah the Almighty. Is Jainism a Branch of Hinduism? When brother `Abdul Wahid was asked if the Jainism is a branch of Hinduism or is it an independent Indian religion, he mentioned that Jainism is not a branch of Hinduism, rather, it is an independent religion, like; Hinduism, Islam, Sikhism, Christianity, Buddhism and Zoroastrian. 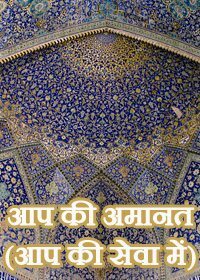 Brother `Abul-Wahid has mentioned that Jainism has some scriptures and those scriptures were comprised of four chapters but afterwards, they were summarized and made in three main chapters. 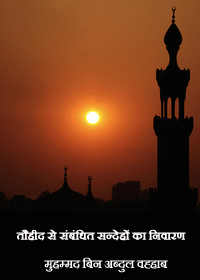 Why Did Vijay Kumar Jain Convert to Islam? Brother Vijay Kumar Jain has mentioned in this video that in his early age, he had a philosophical question in his mind. He was taught in his childhood by the Jain priests that the 24th and last Tirthankara Mahavira Jain deserted the life of comfort and lavish living of a prince and left for the jungle to devote himself for the worship after he had seen an old person and after that a dead body. Brother `Abdul-Wahid asked his father if Mahavira was worshiping in the jungle then he was not a God and the question is: who is the God whom Mahavira was worshiping? If he was taught by God, then he cannot be a god. This was the question that brought him to Islam until he was guided by some Muslim brothers to Islam and its faith.